Remember when every little jewelry and pawn shop on the block had a sign in the window saying "we buy gold." Haven't seen those signs lately, have you? That's because the price of gold is at a recent low point, dipping below $1,200 an ounce last week. The price of the precious metal usually rises, however, when we are in the midst of the kind of international turmoil we're in now. The trade war with China and other trading partners might be a good reason for investors to flock to gold as a safe haven. 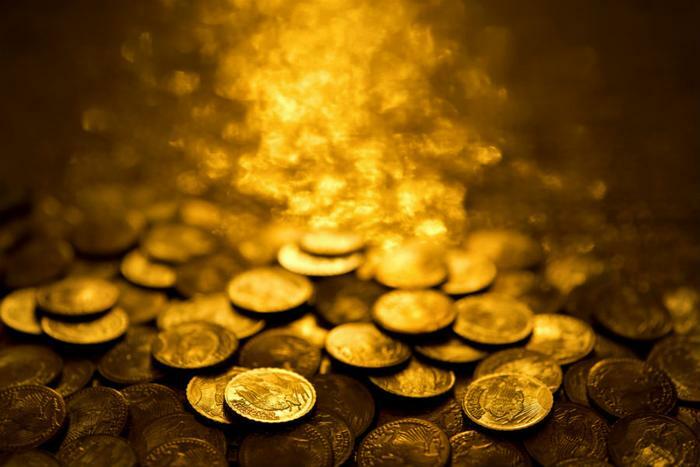 The political uncertainty created by investigations of a U.S. president and the looming midterm elections should also give gold a boost. Neither have pushed gold prices higher. Instead, international investors are pouring money into U.S. Treasury bonds, keeping yields stable while sending the value of the U.S. dollar soaring. Because gold is priced in dollars, it now takes fewer of them to buy it. In fact, all commodities priced in dollars are losing pricing power. Platinum has fallen to its lowest price since 2003, in part because of a strong dollar and in part because of oversupply issues. The same is true for oil. Despite an increase in U.S. demand, a strong dollar has kept the price of oil relatively stable, which is one reason consumers haven't seen wild price fluctuations at the gas pump this summer. The price of copper has fallen by more than 20 percent over the course of the summer, something economists point to as a bad sign for the economy. A growing economy normally needs more copper so the market price goes up. In the background is an economic crisis in Turkey and a general economic slowdown in emerging market economies. In general, a strong dollar is good for U.S. consumers, since it tends to increase their purchasing power, especially for imported goods. But not always, like when we happen to be in a trade war. Some imports are carrying a 25 percent tariff, which is usually passed along to consumers. Gold prices are also an inflation indicator. When prices of everything start to rise, gold gets more expensive. That's reason enough to keep an eye on the price of the precious metal and perhaps be ready to buy some if inflation rears its ugly head.